Will Resume Shipping Around 3/15/2019. 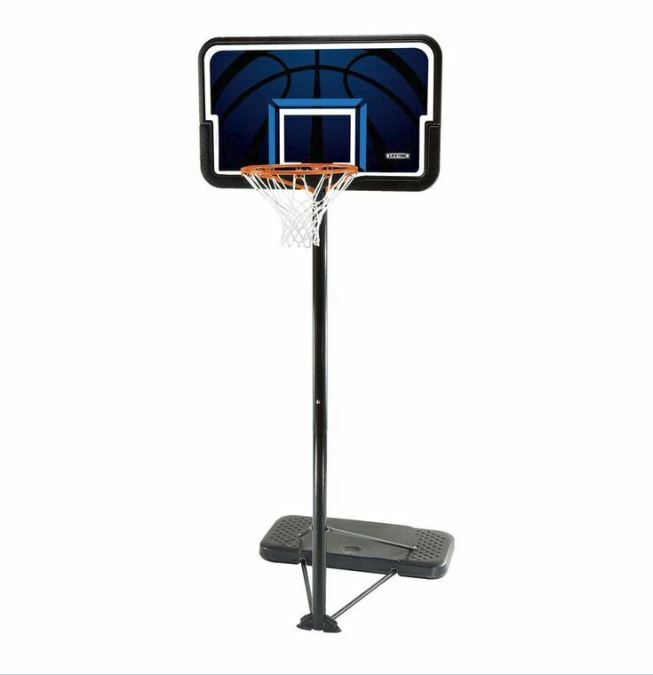 Your developing basketball player will enjoy his first basketball system with the 90268 portable basketball hoop from Lifetime Products. While reaching up to a regulation 10-foot height for the rim, the rim can also be adjusted all the way down to 7.5 feet with the telescoping pole on this system. The portable base can be filled with sand or water to help offset the weight of the system. This base design also allows additional weight to be easily added to the top (such as sand bags) to further offset the weight of the system. Includes an all-weather white net. Q: Is this for adult use? Does it adjust to regulation height of 10 feet? A: Yes, this is designed for adults and children alike. 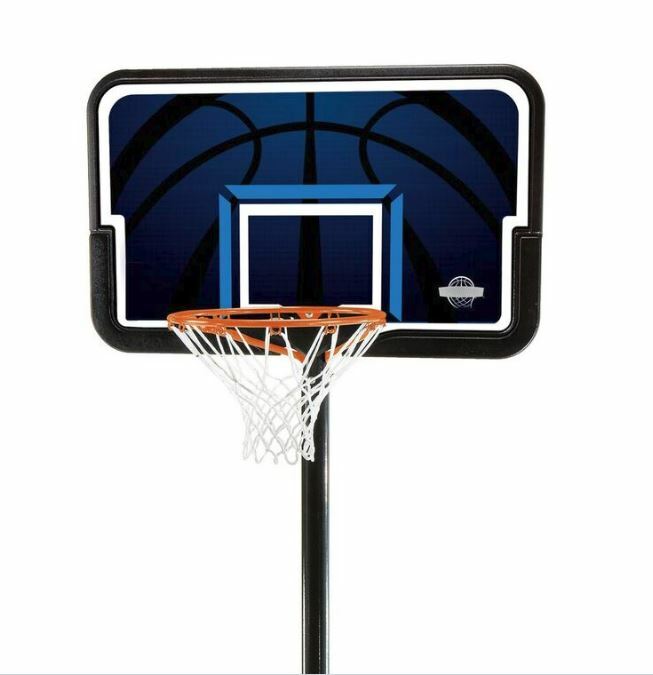 It adjust up to 10 feet which is standard height and has a regulation size rim of 18 inches in diameter for a regulation sized ball. It adjust down to 7 1/2 feet for children or for some dunking contests. 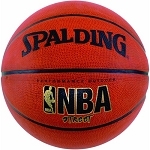 Fast Shipping: Orders for the 90268 Portable Lifetime 44 Inch Basketball System generally leave the warehouse the next business day. Local Pickup Option: This item is available for local pickup in Clearfield, Utah. If you are interested in picking it up locally contact our customer service for a special pickup quote at 866-308-5484 866-308-5484 FREE. Please note that items must be in their original packaging and in the original condition for this return policy to apply. Also, please be sure to contact us within 30 days of receipt. Lastly, if you are unsure whether this product will fit your needs please contact a customer service expert toll free at 866-308-5484 866-308-5484 FREE.